T shirts mean a lot to me. I think that their design and their writing reflect a lot on the character of the person wearing it. That’s one of the reasons why I love Zadig & Voltaire Tunisienne with their impactful words written on the back. And that had just reminded me about that one time when my best friend and I saw a little kid in an ice cream shop. Both of us can still laugh at the memory until today. The poor little guy was wearing a parka—yeah nothing to do with T shirts actually—written on the back, wait for it… “Born to Lose”. Born to LOSE? That’s very depressing! No, that was unacceptable. It’s not about fashion but I mean this is psychologically disturbing! The kid will end up failing in life! Designs like that should be banned, absolutely. Except that there was that other T shirt that Diesel designed—I love everything from Diesel—which had the word “Losers” on it but in that bad-guy-rebellious-kind-of-way. So that was okay. But I still thought like who the hell would wear it? I did see someone wearing it once at Iris in the summer. He was sitting at the bar next to my table and when I happened to look at his T shirt, I just broke a smile and he caught it. I leave the rest to your imagination, but don’t go too far. 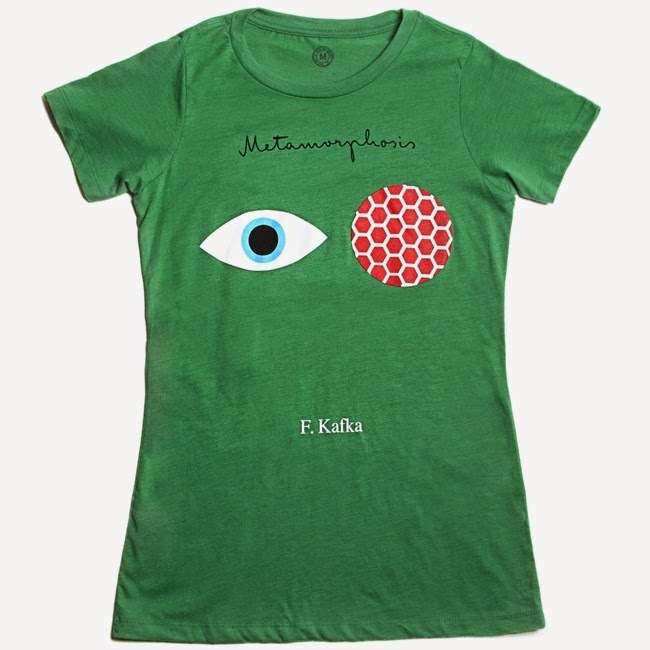 So basically that was to say that T shirts have great power in making a statement and a reflection on personality. Yesterday I discovered this genuine brand called “Out of Print” founded by LeBlanc and Lawton, two childhood friends who were separated then reunited. 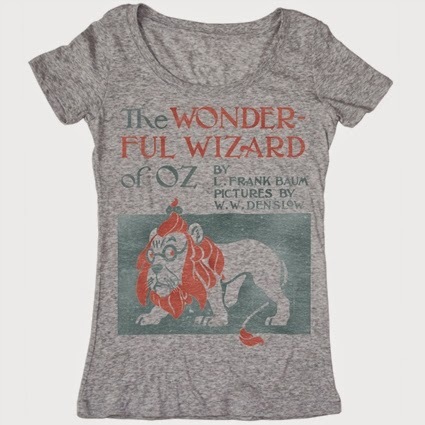 Out of Print makes T shirts with recognizable book covers. 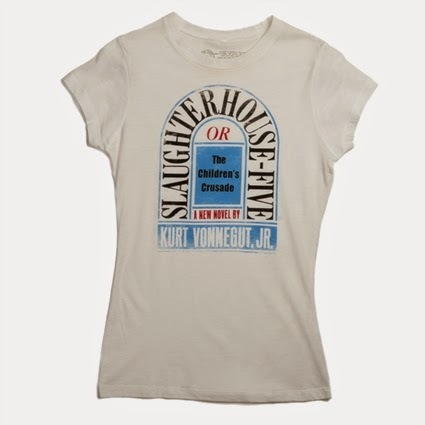 It's a great thing for book lovers like me to show off what they are reading. Besides the books and the great design, Out of Print has also integrated social entrepreneurship into the core of their business. In fact, for every item it sells from its collection, Out of Print donates one book to the charity Books for Africa– 1 million books donated to date as high as the sales number which they have recently achieved. 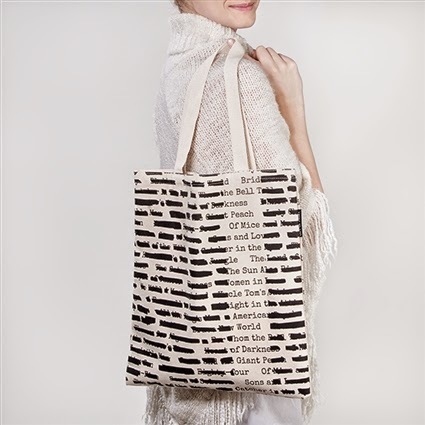 This tote is about the 50 banned books. How cool! On that “bookish” note, I’d like to leave you with a reminder about “Le Salon du Livre” (the biggest book exhibition of the year in Lebanon), which is currently holding in Biel until the 9th of November. I actually can’t wait to finish my midterm-exam tomorrow to go there—let my mind sink between the endless pages of a book and forget time and the world for a while.